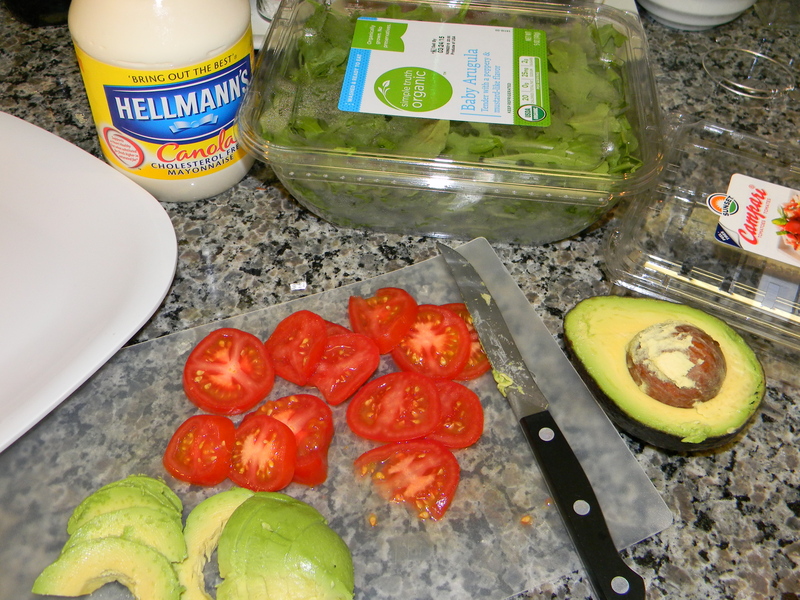 BLT with Avocado — I <3 #CookingLightDiet! I can’t believe I can even eat my favorite sandwich on this diet! Canola mayo apparently is a thing, Campari tomatoes are delicious even in March (thanks Ronnie and Carol for the rec), and just look at how perfect my avocado was…it’s the most wonderful surprise when they’re just right. Love. It. Thanks, Anne! Yes, the bacon was in the microwave. Not sure about Duke’s…the canola mayo was new to me and I’m a Hellman’s girl, so lucked out there. It calls for whole-grain bread, 70 calories a slice, 2 slices bacon, lettuce, tomato, canola mayo, 1/4 of an avocado = 319 cal. I usually use Nature’s Own Whole Grain or Honey Oat. You could make it a wrap for less calories, too.